 Mark Stokes with Dean Cheng, “China’s Evolving Space Capabilities: Implications for U.S. Interests,” Project 2049 Institute, 26 April 2012, p. 21. “二院简介 [Second Academy Profile],” CASIC Second Academy website, 15 June 2011, www.fyjs.casic.cn. Mark Stokes, “China’s Evolving Conventional Strategic Strike Capability,” Project 2049 Institute, 14 September 2009, p. 44. Mark Stokes with Dean Cheng, “China’s Evolving Space Capabilities: Implications for U.S. Interests,” Project 2049 Institute, 26 April 2012, p. 22. Yan Kong and Tim McCarthy, "China's Missile Bureaucracy," Jane's Intelligence Review, January 1993, p. 41. 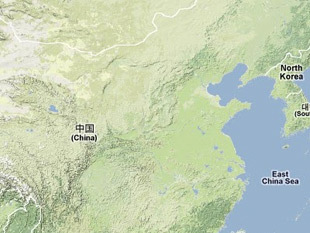 Andrew Tarantola, “China’s DF-21D Missile is a One-Shot Aircraft Carrier Killer,” Gizmodo, 24 July 2012, http://gizmodo.com. “中国“陆基中段反导拦截技术试验”初步分析 [Preliminary Analysis on China’s Ground-Based Mid-Course Missile Defense Intercept Technology],” Chinese Military Network, 13 January 2010, http://military.china.com.